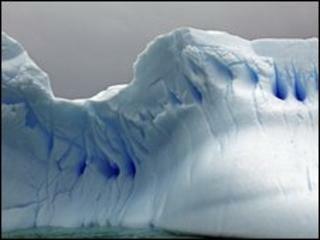 Hi-tech thieves have started using telephone numbers for the Antarctic to wring cash out of victims. Hidden code to dial the expensive long-distance numbers has been included in a booby-trapped version of a mobile game. The criminals inserted the code into a pirated version of the 3D Anti-Terrorist game made for Windows mobile phones. Calls made to numbers in Antarctica typically cost about £4.25 per minute from a mobile. "Mobile phones are intrinsically linked to a payment plan," said Simeon Coney, spokesman for phone security firm Adaptive Mobile. Almost everything done on a mobile incurs a charge, he said, which makes the devices very attractive to thieves who want to divert part of that cash flow to their own pockets. By contrast, he said, cyber thieves can struggle to find ways to generate cash from the scams they run on the internet. Spammers, he said, typically have a vanishingly small conversion rate given the billions of messages they send out. Research suggests that spammers get 28 responses for every 350 million messages they send. Premium rate and international numbers were a good target, said Mr Coney, because hitting a small number of victims can quickly generate a lot of cash for cyber thieves. "As the PC is getting better and better defended then conmen will naturally move towards the area of least defence," said Mr Coney. Research by Kasperksy Labs suggests that the growth rate for PC viruses and trojans is flattening but mobile threats have seen more than 200% growth in three years. The booby-trapped game was discovered in April but is still racking up victims as it has been uploaded to many sites offering applications for Windows mobiles. Embedded in the game is code that makes a phone silently ring numbers in the Antarctic number block which has the prefix +88234. This is despite there being relatively few phones and phone numbers in use in Antarctica.